And Now For Some FREE STUFF!! Random Contest!! Hey there Clammers. Having fun yet? Have you got all your Blam! Prizes yet? Still having a “blast” with the Minion Stewie’s? Well, we thought it would be fun to do something a lil different. GIVE AWAY FREE STUFF!! Everyone likes Free Stuff. Everyone wants Free Stuff. Do YOU want Free Stuff? Those that know us from our other blog, know we LOVE to spoil our readers with Free Stuff. 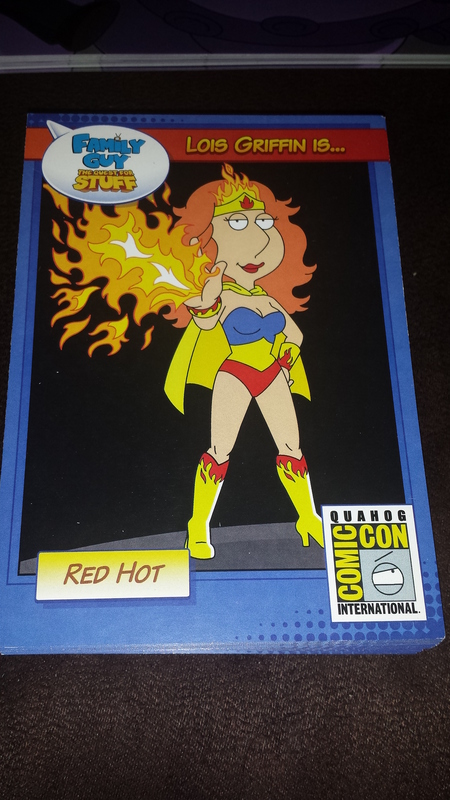 While I was wandering around the San Diego Comic Con, I decided to snag some swag to bring home for our readers. 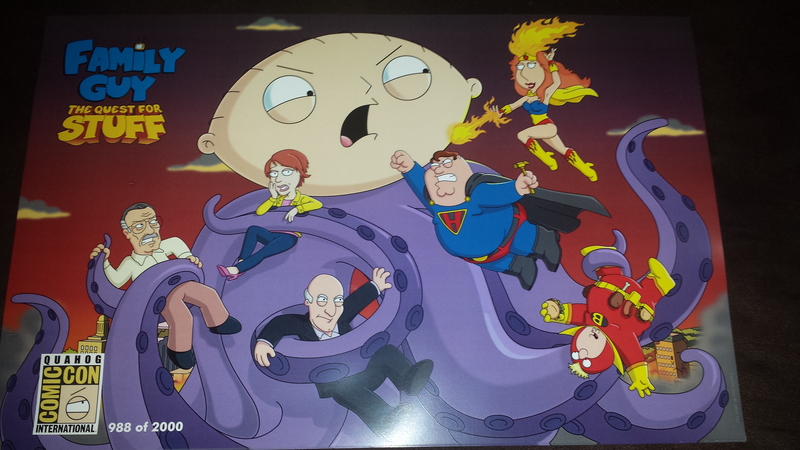 I was able to get some Limited Edition and numbered posters for the Family Guy: The Quest For Stuff Comic Con Event. 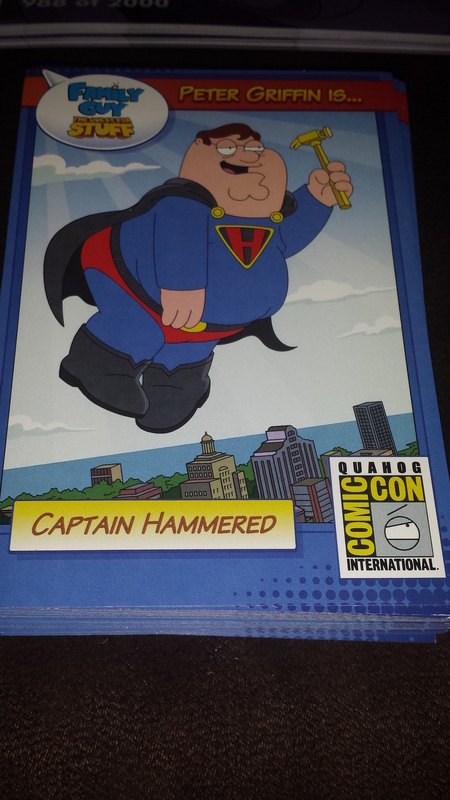 I also got my hands on some fun Character Cards too. So…now what to do? How exactly should we give them away? 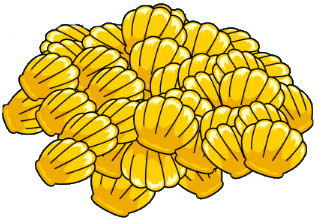 Well we are playing a silly lil game full of Random items, Random drops, Random quests…so…why not give away prizes… Randomly? Lol. All you have to do is comment on THIS post. Give us a random thought on the game, the characters, life in general, the blog, you favorite commentor, etc. Tell us a story. Give us a poem. Just pretty much anything…random. (Keep in mind our same protocols and guidelines will most definitely be in place, so check hate at the door and keep it PG.) Just make sure in the spot on the Comment form you put in your ACTUAL email address, as this is how we will contact winners. Only ONE comment per reader allowed. No duplicates accepted. Anyone abusing the system will immediately be disqualified. WHEN DOES THE CONTEST START? END? The Contest will begin as soon as this post goes live on our blog and will continue until Tuesday September 2nd, 2014 at 11:59PM EST. At that time the comments will be closed. After the close of the contest, all eligible comments will then be put into the Randomizer (http://www.random.org/) and winners will be selected. Winners will then be contacted via email provided and a Legal Address must then be provided to the Addicts within one week of being emailed or they will forfeit any prizes. They will be announced by Friday September 5th, 2014 in a separate post. In addition, and to add to the Random fun, ONE random reader will be awarded a $10 Gift Card on their choice of platform. (iOS, Google Play, Amazon.) Nothing beats some Free Clams. -Open to familyguyaddicts.com readers age 18 and older. -Contest Entries will open from time the And Now For Some FREE STUFF!! Random Contest!! is posted until 11:59 PM EST, Tuesday September 2nd, 2014. Any entries received after that time and date will not be eligible to win. -This contest open to EVERYONE. However be aware that our friends outside of the US, 18 and older, you may enter the contest but an alternate prize may be awarded at our discretion if there is an issue shipping the prizes to you. -Addicts Staff and their family members are not eligible to participate. -You must provide us a legal mailing address within 1 week of winning or you will be disqualified and any prizes won will be forfeited. 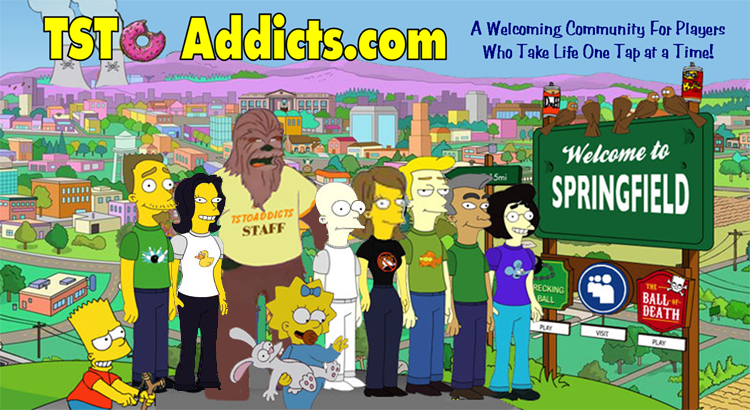 -All entries will be reviewed by the Addicts Team prior to posting results. -This contest is not affiliated with TinyCo, Google, iTunes, Amazon, Fox, or anyone else in association with Family Guy: The Quest For Stuff, Family Guy, FOX, TinyCo, Amazon, Google, and iTunes. So get your brain cap on and see if you can make us all laugh, giggle, or whatever. You have til Tuesday 11:59PM EST September 2nd. 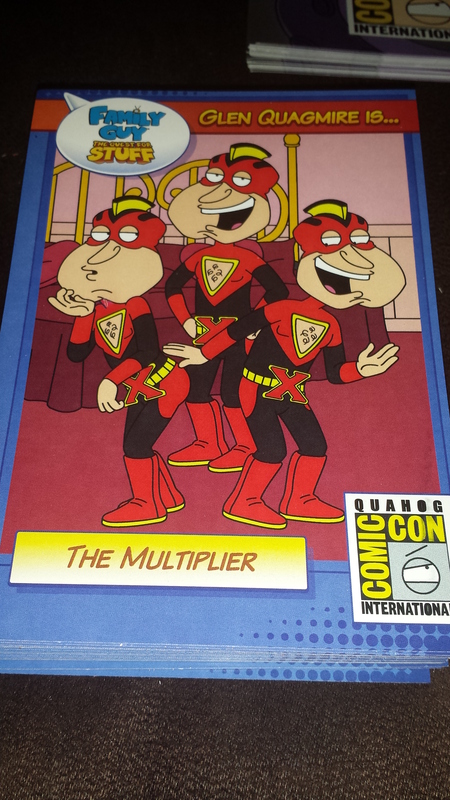 This entry was posted in Contests and tagged 2014 Quahog Comic Con Event, 3 Pack Character Cards, Family Guy Addicts The Quest For Stuff, Free clams, Free Comic Con Swag, Free Giveaway, Limited Edition Quahog Comic Con Posters. Bookmark the permalink. And then it happened. What? Well I’ll tell you. Thank you. No problem. Ok. Where was I? Oh yes. And then it happened. Finally after all this time I had hit the jackpot. It wasn’t easy and frankly, I was spent. My poor little fingers, I say little because my ex wife had often made fun of me for having girl hands. I always thought they were normal but she assured me on numerous occasions that they were freakishly small and delicate, were rubbed raw from constant poking on the infernal device I purchased to bring my hectic and stressful existence down to a calm relaxed state. Why would I put myself through such hell? Because. That’s why. Not to save the world or to make a better life for my children or the myriad of reasons I could claim to make you and everyone else feel was more justifiable. Just because. And what was the hellish accomplishment I sought to complete? The elusive 15 Stewie with one bomb. I know. I shudder at the thought myself. Oh how I had tried. I poked as many mutants ask I could and watched them freeze and squirt ink only to scuttle away at the last minute causing my flatulence like green cloud of justice to fall short of causing them to pop out of existence with that satisfying “ploop.” I never gave up. I built fences in a circular pattern. I put one small section of road in front of the Griffin house. I even made a square of houses to block the evil spawns of Satanic octopi from exiting my Godly area of retribution. Then in my darkest hour I had an epiphany. Was it to read the suggestions that others had used to be successful? Of course not. That’s stupid. No. I did what any red blooded hero of the modern day would do. I got lucky. I rocketed into action like Hunter S. Thompson after a bottle of Wild Turkey. With fingers flashing at inhuman speed I placed row after row of hedges in a maze like pattern, trapping the tiny ne’er-do-wells until I could extinguish their evil flame. With an angelic chorus in the background, I flexed my muscled tapping finger and delivered the death knell onto the abominations while I shouted to the heavens in a triumphant cry not heard since the destruction of Bowser at the hands of the heroic Italian plumber. Do I seek praise for my accomplishment? Of course I do. Do I expect to be showered with money and women of ill repute? Yes. Do I want children to view me as a hero and tell stories about my exploits. You’re damn right. I know what you’re thinking. How does he manage to stay so humble after everyone realizing how incredibly awesome he actually is? It’s not easy my friends. Somehow I have found the strength to do so. I hope this is a lesson to everyone. With a little faith and some hard work, maybe some day you too can realize how great my accomplishment was. Until then, stay strong and keep trying. Best of luck with your quest to be almost as cool but not quite as me. That was fun lol. Sorry for the bad grammar and I have no Idea if the paragraphs were done properly. Failed English lol. This last paragraph was just for you addicts staff so shhh. Thanks guys. It makes sitting on the toilet so much more fun. 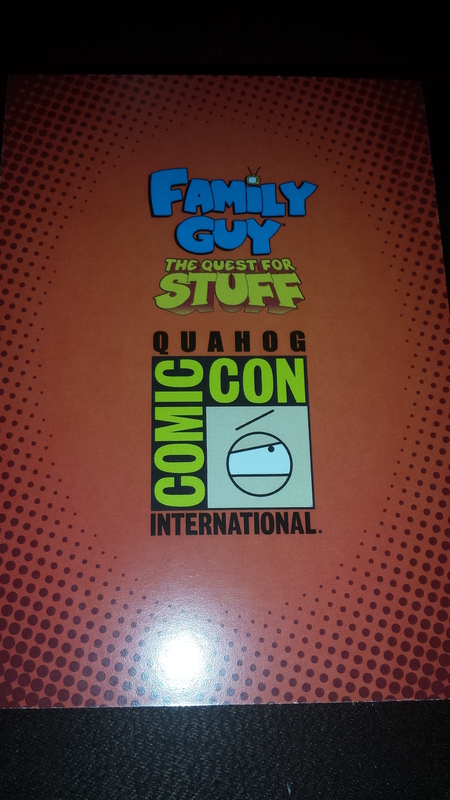 Im totally a family guy quest for stuff addict and now i’m on a quest for your stuff too! You got to be in it to win it. I’m a big fan of merch, especially free merch. Awesome giveaway, I really like the look of those cards. I love the brain damaged horse. The way he majestically galloping. Its so funny. I’m going to comment in the form of a poem! Don’t stop posting cos that would be poo! 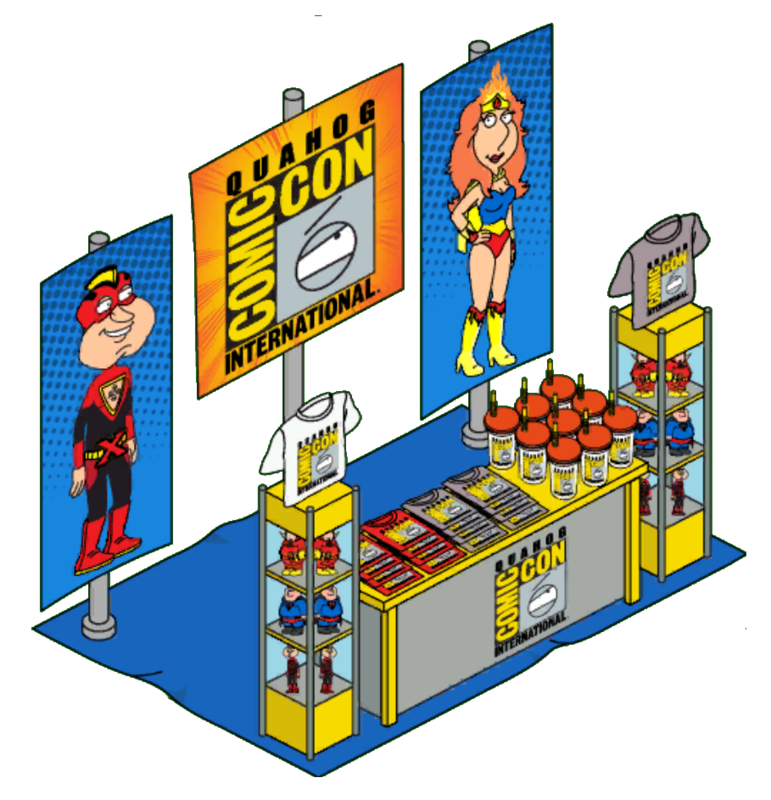 Love this event and since I couldn’t go to San Diego comic con this is the next best thing. Can’t find my first post, for some reason it take a while to even show. playing on android is so much fun, I have so many bombs to use that the game wont stop crashing!! Excelsior! Comic-Con has truly been a blast! This event was smartly developed and way more creative than the last event with the pyramids. Amazing cameo voice-overs by celebrities, the various mini games to defeat different types of mutant Stewie, and the new costumes…all great! My only beef right now…Still having issues getting the microchips for Rollocop! 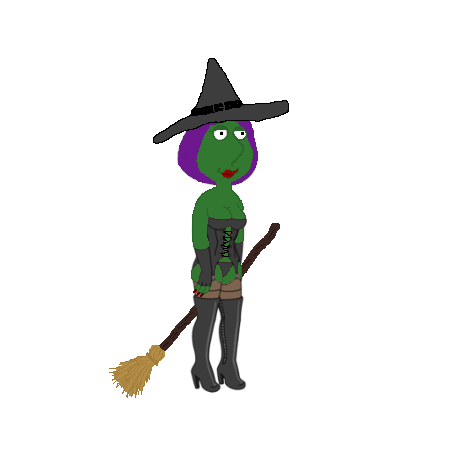 And now suddenly there’s a new super hero costume for Bonnie?! That’s cool and all but how are we supposed to get both costumes if Bonnie is the only other character besides Felicia that can get the microchips? It’s not like there’s a building out there that drops them! Please do something about the microchips! It would have been no problem in the first place if we didn’t have to wait so many weeks to start working on Rollocop, am I right? Other than that, great job on everything Tinyco! Really outdid yourselves in this event! Can’t wait til the next one! I have been playing this gMe since it started in April, and I have got to say you guys rock. Every time I have a question or need a tip, I come here and am always provided with the correct answer. So to all the staff and commenters, I say thank you.